a few weeks ago i stumbled upon this post via simple mom. 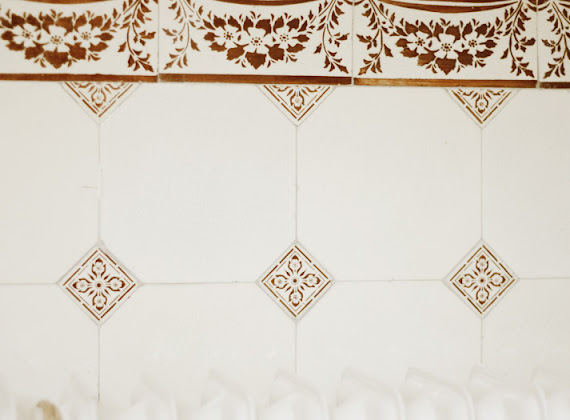 i found the focus on a few simple details to love about one's home inspiring. like the red door? i'm sure it makes up for so so many things that might not be "perfect" for the moment. seeing it whenever one leaves the house and comes back home and loving the sight of it consciously. the thing is that i do have the tendency to complain about things we don't have (a garden, a big kitchen, counterspace, a mudroom). it's not that i go on and on about it every day, but i do drop hints in conversations with my husband and sometimes i ramble to myself about what i'm missing. but, inspired by the red door, i decided to focus (literally, with photographs) on some of the things i really love in our home. 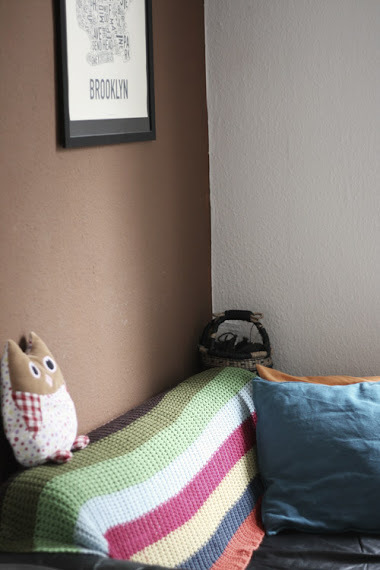 in the first photo is my favourite corner to crawl into every evening, with a book, some knitting or just the blanket when we decide to turn on the tv. a few of the original turn of the century tiles left on one part of the kitchen wall. 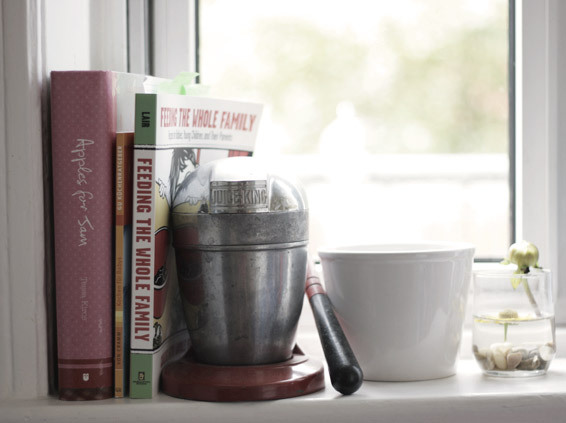 the kitchen windowsill with my 2 favourite cookbooks, yard sale finds and some space for prettiness. are you in love with a special corner of your home? i love seeing the pretty, peaceful corners of people's homes!